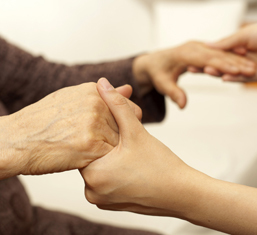 Turfcote offers individually tailored care services including personal and nursing care and a separate unit which offers specialist dementia care. Respite and day care is offered across all disciplines. All residents benefit from qualified, dedicated staff providing 24 hours a day support. We treat our residents as individuals and we develop a personalised care plan for everybody at the start of their stay. This plan takes into your account a person’s mental and physical capabilities, care needs, history, preferences and beliefs; letting us get to know not just the symptoms but the person we’re caring for. The level of care and exact services offered will depend upon the individuals care plan.